Andrea Brennan, OTD, OTR/L, CLT-LANA, CI-CS, WCC is an occupational therapist with LANA certification and a post-professional clinical doctorate in occupational therapy with a specialty in lymphedema practice management. She has more than 35 years of practice with an exclusive lymphedema practice since 1996. She is a certified lymphedema and wound care clinical specialist. Memberships include the Lymphology Association of North America, the International Society of Lymphology, American College of Phlebology, Casley-Smith International and the National Lymphedema Network. During 2016, Andrea underwent an intensive training to become a certified instructor in the Casley-Smith treatment method. This training took her to the University of Glasgow UK to assist in teaching the master's level certificate in lymphedema management. Upon her successful completion of this training, she created the Brennan School of Innovative Lymphatic Studies, which spearheads evidence-informed training and certification in lymphedema, lipedema, venous insufficiency and chronic swelling with the Casley-Smith treatment method. 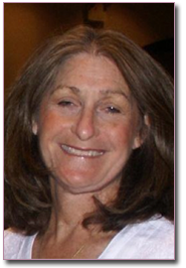 Andrea is frequently invited to speak and write on lymphedema management and clinical topics. She has presented and published on diverse topics in lymphedema management on a local, national and international level. She has also given presentations at the Clinical Symposium on Advances in Skin and Wound Care; the Wound, Ostomy and Continence Nursing Annual Conference; Fat Disorders Research Society, Latin American Venous Forum, and the American College of Phlebology. She also wrote a chapter on lymphedema in the medical textbook, Core Curriculum for Phlebology Nurses. Furthermore, each year she volunteers with Amigos de Salud, an international lymphatic and phlebology organization, offering treatment in Matagalpa, Nicaragua. Andrea is a clinical specialist employed at HEALTHSOUTH Scottsdale Rehabilitation Hospital in Arizona offering comprehensive inpatient and outpatient lymphedema services. She lives with her husband, Joe, now empty-nesters, in Scottsdale, with their doodles.